Netanyahu will suggest that the government back part of the Levy report urging a halt to discrimination against Jews in Judea and Samaria. The Levy Report was presented to the Prime Minister this past summer after months of study by former High Court Justice Edmund Levy and two other legal experts. They contradicted the view of the international community, strongly supported by the Obama administration, that a Jewish presence in Judea, Samaria and in united Jerusalem is illegal. The Levy Report concluded that Jews have an equal right to live in all of the areas restored to the Jewish State in the Six-Day War in 1967. Netanyahu effectively shelved the report by setting it aside for further study, but with elections coming up, he now will recommend adopting part of the recommendations, Voice of Israel government radio reported Wednesday morning. The office of the Prime Minister did not respond to Arutz Sheva’s request to confirm or deny the report. His sudden change reflects increasing pressure from nationalists in the Likud as well as those in the coalition Jewish Home party and the Opposition National Union party, both of which are running on a combined slate in the January elections. Likud MKs Tzipi Hotovely, Gideon Sa'ar and Yuli Edelstein, among others, have told the Prime Minister that the Levy Report should be approved. However, it is probable that the government will make more promises than concrete changes in policies before the elections. Likud MK Yisrael Katz told Voice of Israel he is not concerned with expected international opposition to strengthening the status of Jewish communities in Judea and Samaria. “Adopting the report’s recommendations to stop discrimination against Jews will deliver a clear message to residents of Judea and Samaria they can live normal lives like everyone else in the country,” he said. “There must be a clear and historical message that a child in Ofra [located in Samaria] has the same rights as a child in Tel Aviv,” he continued. The most prominent discrimination is in the area of housing. Until recently, Defense Minister Ehud Barak used his power as official administrator of Judea and Samaria to block most building permits. Prime Minister Netanyahu changed the decision-making process this summer by forming a Cabinet committee, which includes Barak, to be responsible for polices in Judea and Samaria. 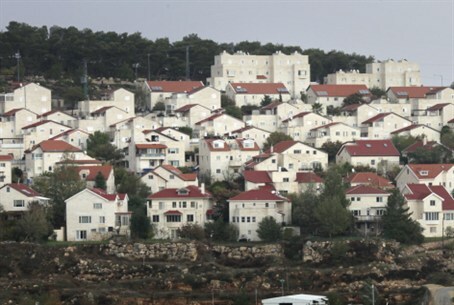 The Levy Report recommends that the government end the military rule over Jewish communities and annex several areas so that residents will be equal with other Israeli citizens. MK Katz said adopting part of the report does not prevent the establishment of the Palestinian Authority as an independent state. PA Chairman Mahmoud Abbas has demanded that a PA state include all of Judea and Samaria as well as large areas of united Jerusalem. Kadima MK Yoel Hasson told Voice of Israel that adopting part of the Levy Report would be “playing with fire” by providing the fuel for Palestinian Authority Arabs to stage an Arab Spring rebellion. Anyone wanting to change the status quo is ignoring demographics, he argued.